Are you a big fan of the rapper Vanilla Ice? If yes, then this is a must have jacket for you. It is a replica of the black leather jacket that your favorite singer wore in the movie Cool as Ice. He looks ravishing as he plays the character of a rebellious rapper in this movie. This beautiful black bomber jacket is sure to get you all the attention you deserve when you wear it while riding your motorcycle. Though this jacket has front full zipped closure, it looks more like a shirt because additional buttoned closure at the front. It also has shirt style collars and open hem cuffs. 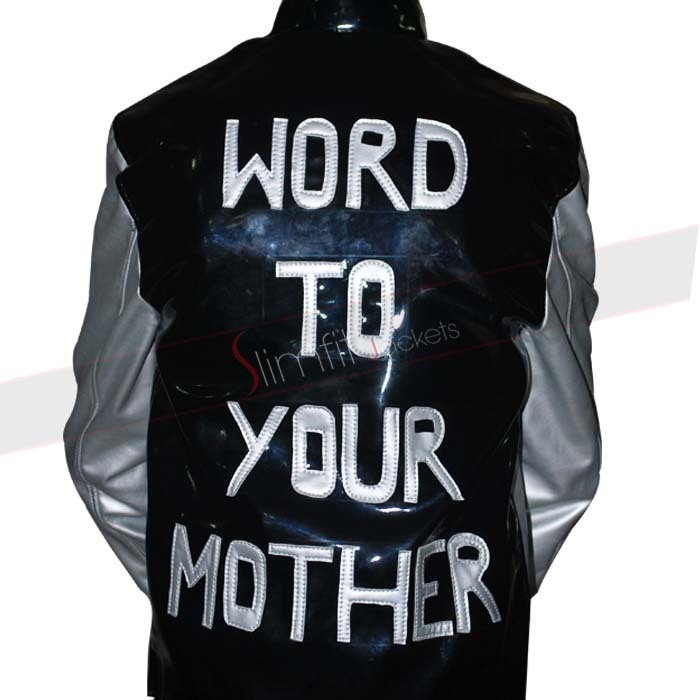 The real highlight of this bomber jacket is words written in while all over the front and the back.